Notwithstanding demands from Bay Area equity refugees and demand considerations from the continuing affordability crisis in California, and perhaps because of recently stormy weather, a new survey shows real estate activity for a one month period in Elk Grove substantially slowing. 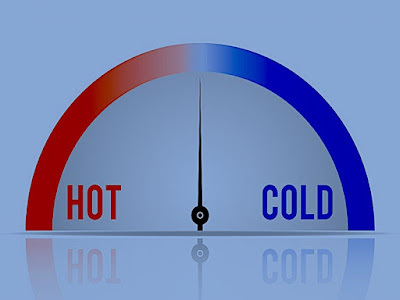 The recently released survey by Seattle-based Zillow.com for the period ending February 28, 2019, showed real estate activity in Elk Grove's three zip codes rated as cold. The three zip codes in the survey are 95624, 95757, and 95758. The report estimates that the median value in 95757 is $484,300 and home values have increased 2.5-percent in the last 12 months. Based on their analytics, Zillow estimate prices will increase 2.6-percent within the next year, and in a sign of slowing activity, 15.6-percent of listings have had price cuts. The balance of the Laguna area in zip cope 95758, which is roughly north of Laguna Boulevard to the city's northern border saw a median value of $398,500 and home values had increased 3.6-percent annual increase. Median values are estimated to increase 2.6-percent in the next 12 months, and 12.1-percent of listing have had price cuts. In the city's more established neighborhoods in East Elk Grove and the rural Sheldon area, or Old Elk Grove as it is now referred too, the report showed the median value of $437,500 and prices have appreciated 3.1-percent on an annual basis and was rated as neutral. Prices are expected to appreciate 2.8-percent in the next 12 months while.17.4-percent of listings have cut prices. Regarding so-called underwater mortgages, the rates of homes with negative equity in 95624, 95757, and 95758, respectively is 5.2, 4.5, and 6.1-percent.